A mother is accused of strapping her son to the roof of a minivan to hold down a plastic pool, officials in Wisconsin said. Amber Schmunk of Fredonia is charged with second-degree recklessly endangering safety, Fox6 reported, which added that she could face as many as 10 years behind bars if she is convicted in the Sept. 9 incident. Officials were called after getting a report of a child riding on a minivan while holding a pool. Schmunk, 28, pulled over and took her son down from the roof. Then, she folded the pool and put it into the van before she pulled into her sister’s driveway. Police arrived at the sister’s home, and Schmunk told them she thought it was “OK as her father let her do things like that when she was that age,” reads a complaint about her case, Fox6 reported. 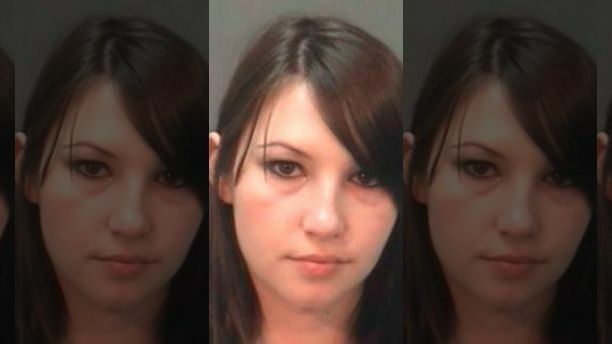 Schmunk then told the police that she “had no way to strap it down so she had her [son] climb on the roof to hold it down while she drove.” She later said the boy was strapped down inside the pool. In elaborating further, she said the boy rode on the roof for a short time—“maybe 20 to 30 seconds,” WISN reported. A Nov. 14 court date was set for Schmunk, who also faces a $25,000 fine, TMJ reported. “As a grandparent right now, I mean, I know the kids have to be strapped in. That’s just common sense,” neighbor Barbara Sellin said of the allegations. “You love your kids and take care of them. To put a kid on top of the car is beyond ridiculous,” she added.